Benefit from all your know-how for more safety in your motor sport event. 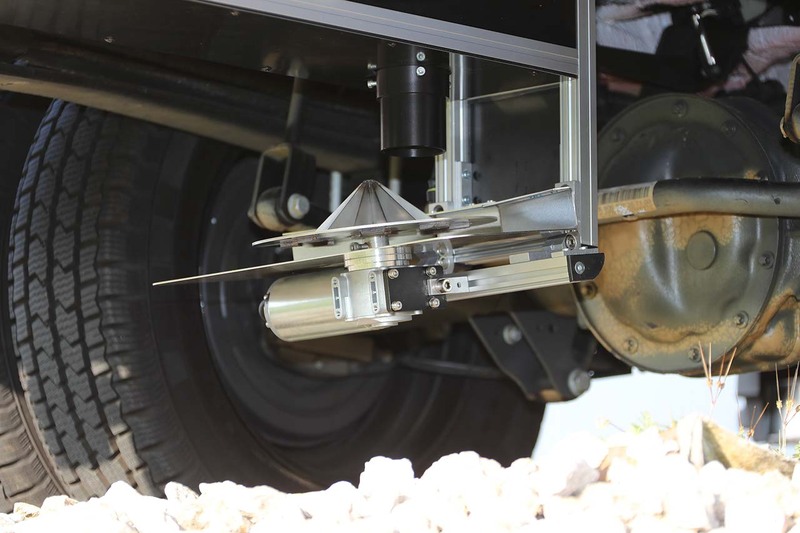 The E-Unit Basic vehicle can be adapted to your individual needs with the aid of eight equipment packages. E-Unit: The best rescue technology available on the market! Teams get the opportunity to optimize their racing cars and give team partners a ride on the legendary Nordschleife. No one who has no connection to motorsport can imagine such a rescue vehicle. 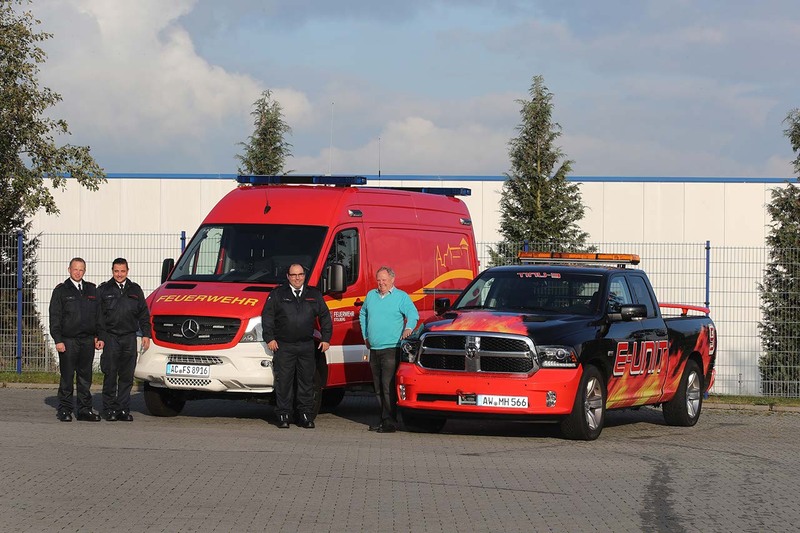 I often wondered how accidents, especially fires, could be helped more quickly,"says Heinz Domagalla, who built the company and the associated technology a stone's throw away from the legendary racetrack. The E-Unit concept was introduced in autumn 2000. Domagalla sought advice from rescue services and professional firefighters, and his plans were based on the requirements of the Nürburgring-Nordschleife. The fire engines of the fire brigade often have several kilometres to the burning racing car and they are heavy and slow. 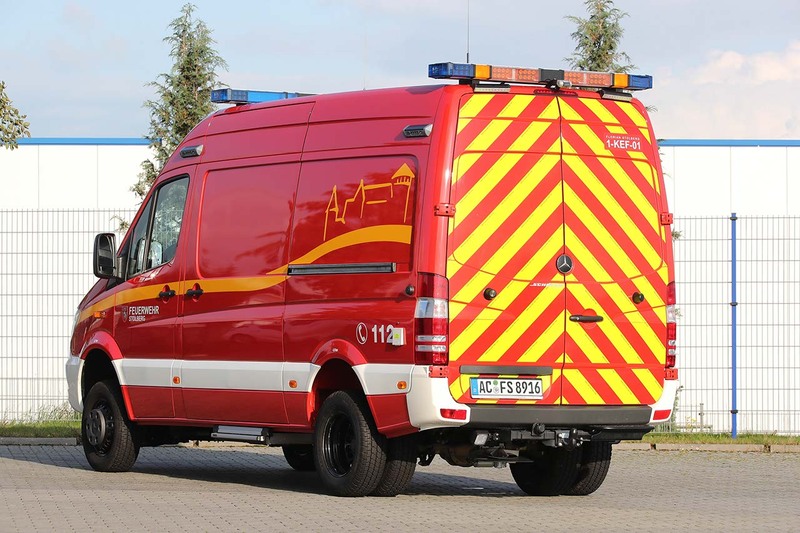 A "fast safety and rescue van" should be an E-Unit. E-Unit is designed accordingly. The carrier vehicles are Dodge Ram 1500 4x4 with 5.7-litre V8 HEMI® VVT engine, 396 HP. The tank mounted on the loading area holds 300 litres of water. The extinguishing system operates according to the high-pressure water mist principle. The fine water mist binds the oxygen in the air and robs the fire of its breath within seconds. The water quantity is sufficient for extinguishing times of up to eight minutes. Oil on the racetrack is not only dangerous for the racers. The sportsmen who have to get rid of the oil are also at risk. E-Unit also produces safety here. A spreader applies oil binder to the dangerous track. The spreading width is variable and reaches up to two metres. The system is controlled from the passenger compartment. 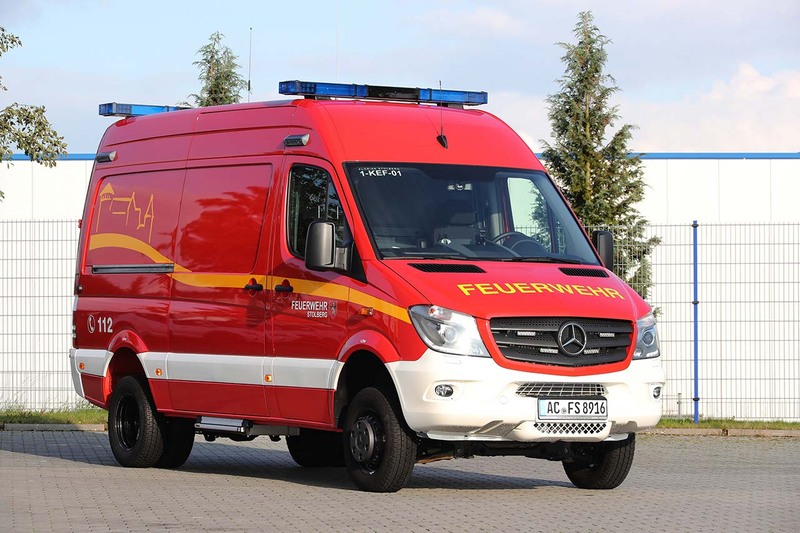 This is where the interest of the Stollberger Feuerwehr came into play, which has now ordered a vehicle with the appropriate equipment to be retrofitted in Meuspath. 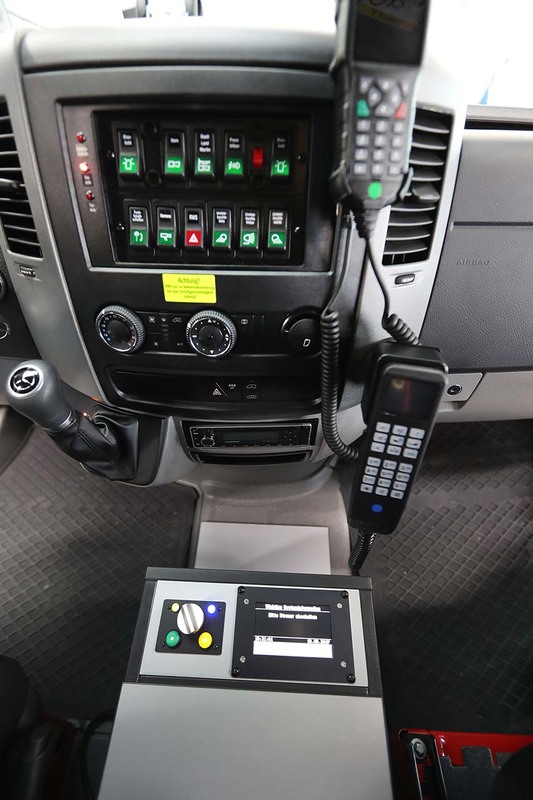 E-Unit vehicles can be configured with eight equipment packs exactly according to the individual requirements. 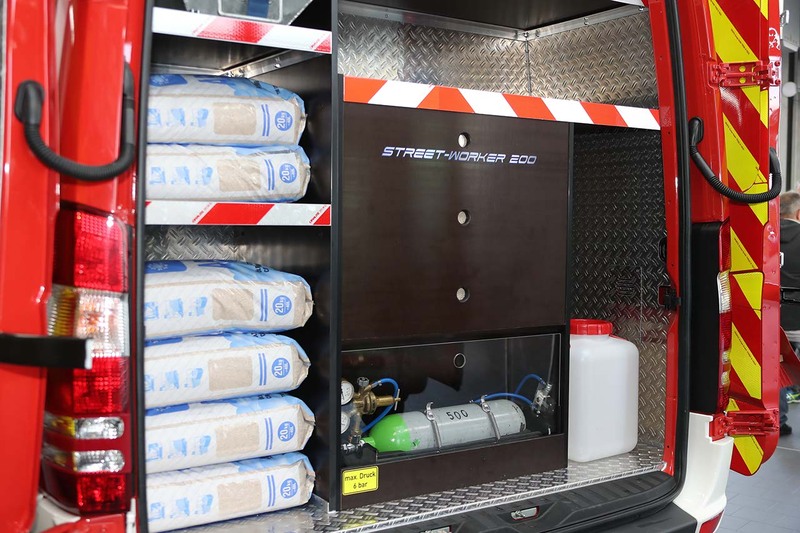 The advantages of the unique rescue system: vehicle fires can be extinguished within seconds, traces of liquid are quickly and safely removed from the moving vehicle, fire extinguishing systems are always ready for use and the system enables a patient-oriented rescue. The MH administrative check is located in the photographers room, 1st floor TÜV-Tower, Laubengang and opens on the day of the event at 12:00 o’clock.